Sabrina is the AEDC’s Director of Workforce Attraction & Retention. 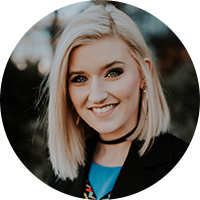 She previously served with the West Texas Small Business Development Center (SBDC), where she consulted companies in areas such as social media marketing and branding. She is a 2013 graduate of West Texas A&M University, a board member for the Hope & Healing Place, and a member of the Amarillo Business Women organization.